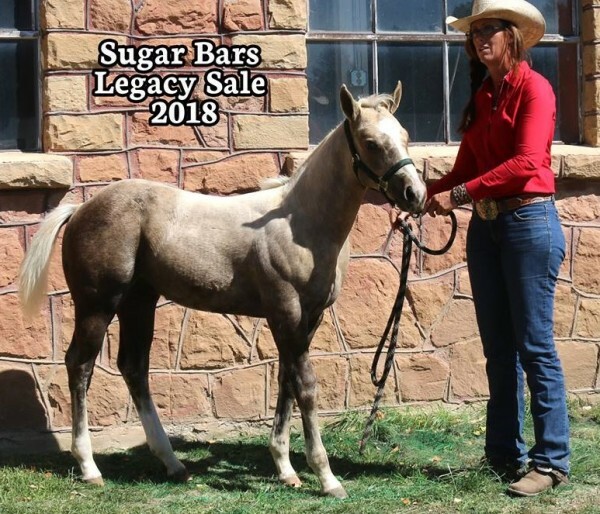 A special thanks to all our buyers, consignors, sale staff, friends and family for making the 2017 Sugar Bars Legacy Sale a great success and looking forward to additional friendships and memories in 2018! 1:00 p.m. Sale- starting with the "Wild Card"
Please click on the "Wild Card" for more information. 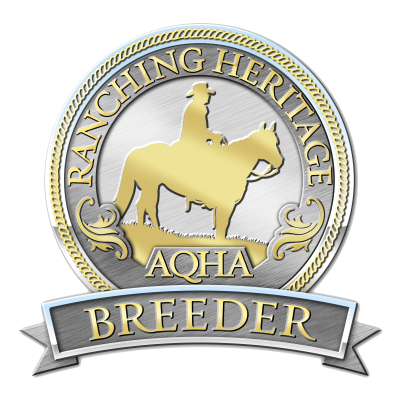 for being approved as Ranching Heritage Breeder's by the AQHA Ranching Council. For more information please click on the Ranching Heritage Logo! 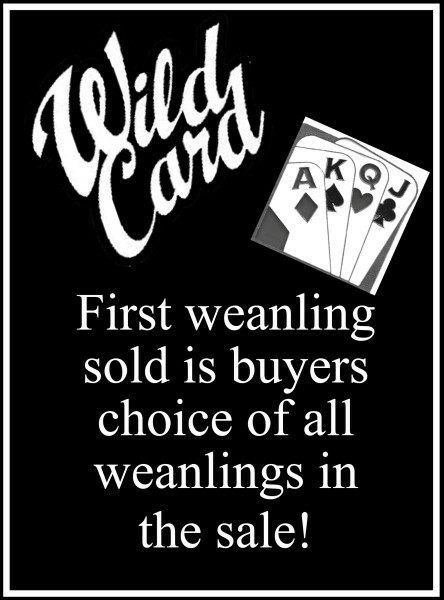 With no colt in the ring, the auctioneer asked for bids on the “WildCard”. The winning bidder chose Lot 17- TDM Four Star Lowry for their choice of the weanlings. This beautiful palomino stallion was consigned by AQHA Ranching Heritage breeder- Swensen-Martin Horse & Cattle Co- Trent & Dawn Martin of Beulah, ND. He was sired by Vascos Lowry Star- a Lowry Star, Colonel Freckles (Sugar Bars) bred stallion and his dam was Four Twenty One, a Colonel Freckles (Sugar Bars), Eddie 40 (Eddie, Happy Hancock) bred mare. He was purchased by Aspen Larmer of Mot, MT for $3,300. Haight Ranch-Dale & Carol Haight of Hanley, Saskatchewan, Canada was the consignor for the high selling Saddle Horse. The saddle horses proved to be an incredible group of horses; ranging from finished rope horses, all around ranch horses and just started young horses needing a job. 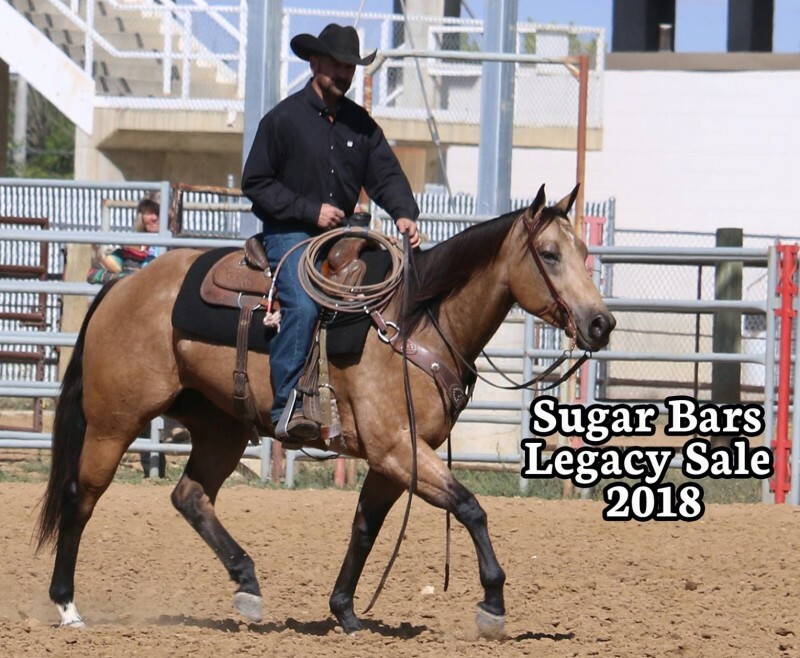 Sugar Bars bred Lot # 61, Profits Paisley, was the high selling saddle horse; a solid four-year-old buckskin mare; with eye appeal, color and good bone & feet- with a lot of heart. Her paternal grandsire, Cook N Oak was a multiple working cow & reining Champion. Her sire, Profit Power offspring are tremendous rope, ranch and barrel horses. She was started the right way and has 7 months training - nicely started out of the box and is barrel patterned. She was purchased by Jon Robinett of Dubois, WY for $14,500. Lazy H Y Corral of Carr, CO donated a custom saddle blanket to the consignor of the high selling saddle horse.